The medicines MOT is a structured review that is undertaken by our pharmacist to help patients to manage their medicines more effectively. The MUR involves our pharmacist reviewing the patient's USE of their medication, ensuring they understand how their medicines should be used and why they have to take them, identifying any problems and then, where necessary, providing feedback to the prescriber. reduce medicines wastage, usually by encouraging the patient only to order the medicines they require. Our pharmacist will normally ask the patient to bring their medication (including purchased medicines) with them to the review. proposals for dose or strength optimisation, provided it does not impact on the patient's clinical management. 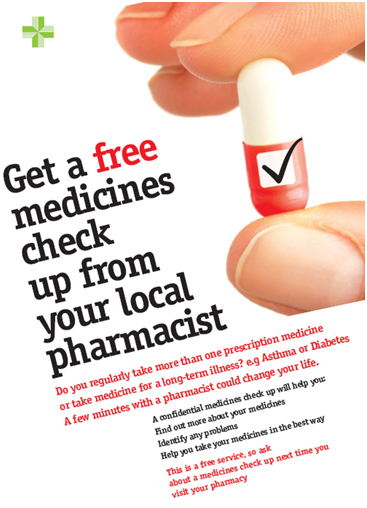 The Medicines MOT is a FREE NHS service book yours TODAY.